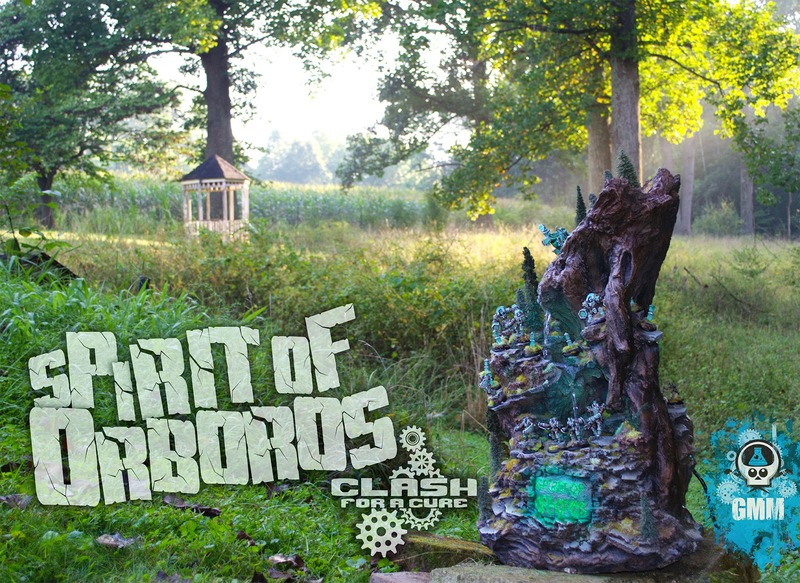 From deep in the woods somewhere in Indiana, I have returned with a Hordes army for this year's Clash for a Cure. 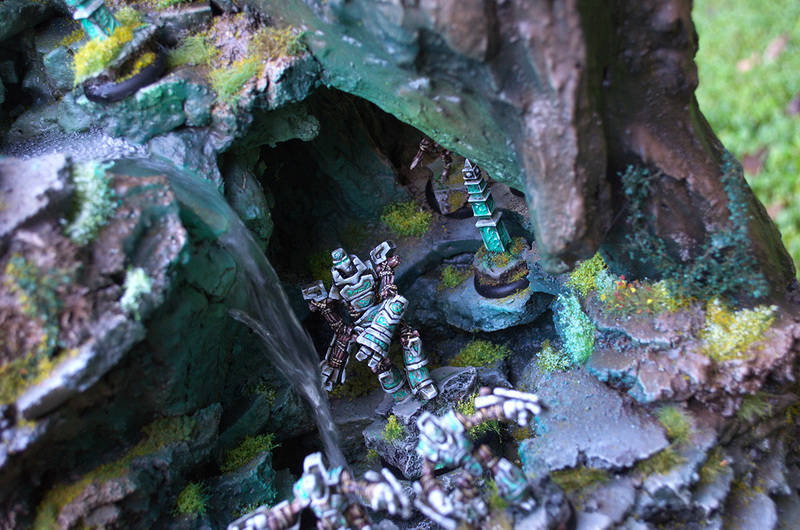 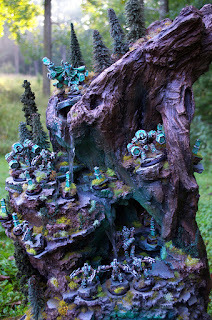 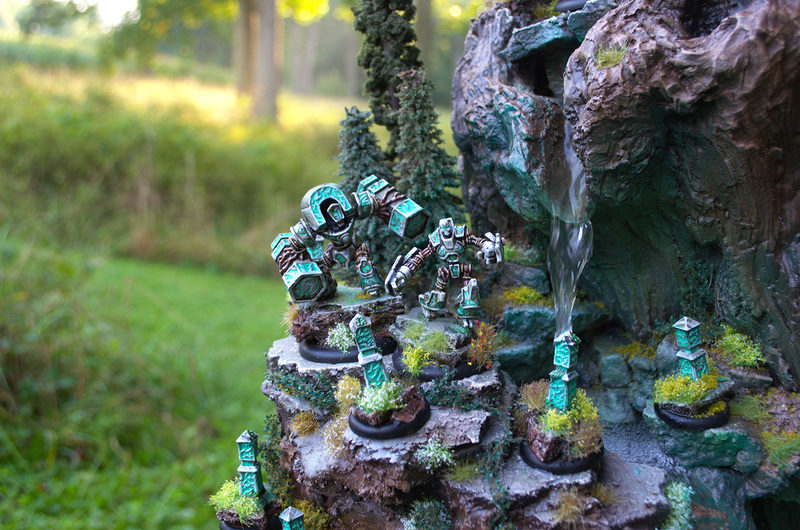 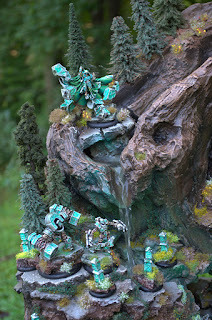 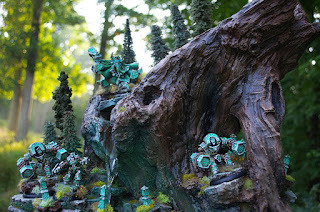 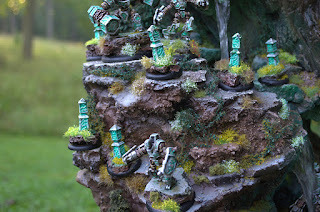 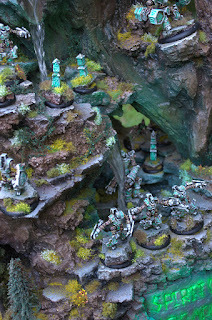 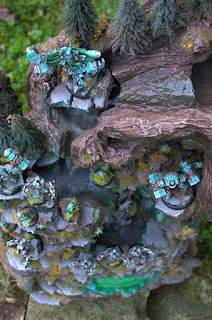 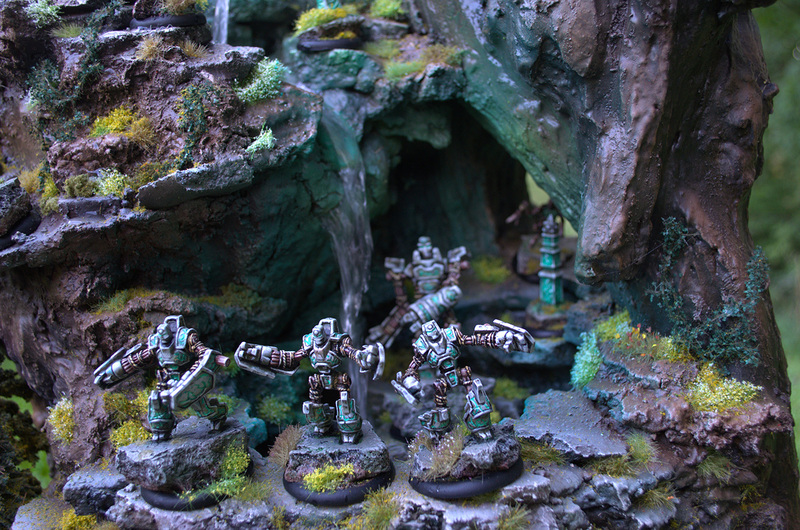 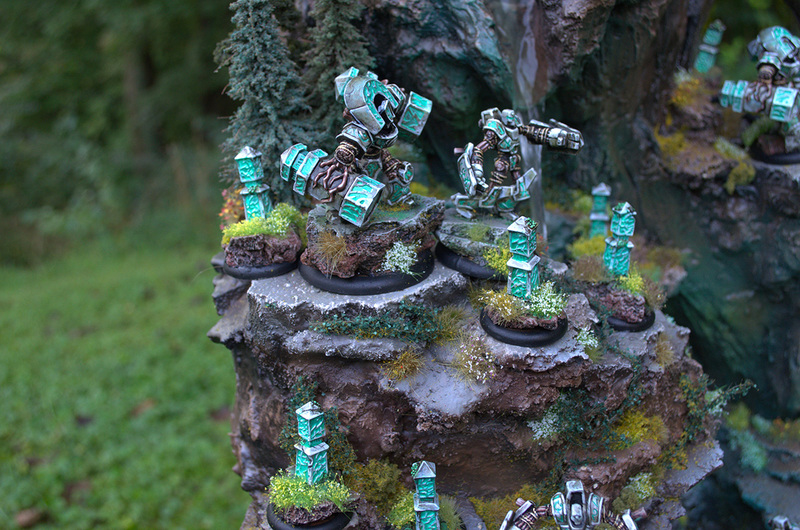 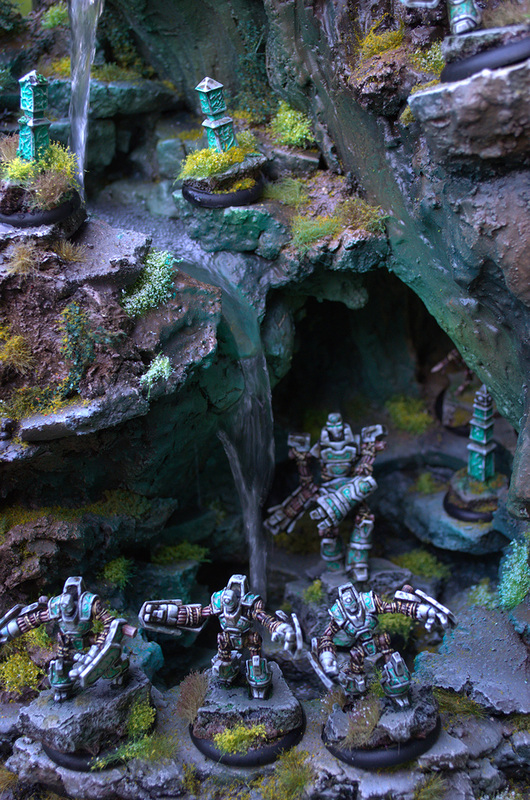 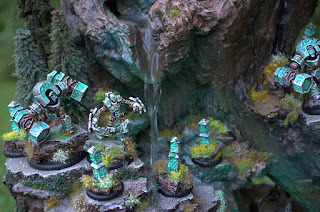 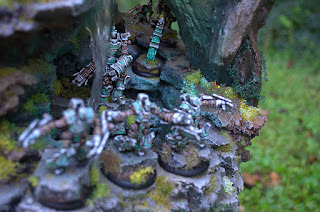 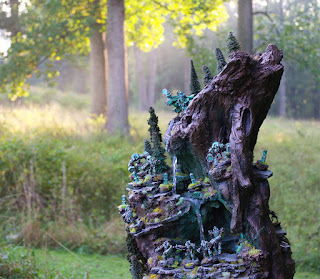 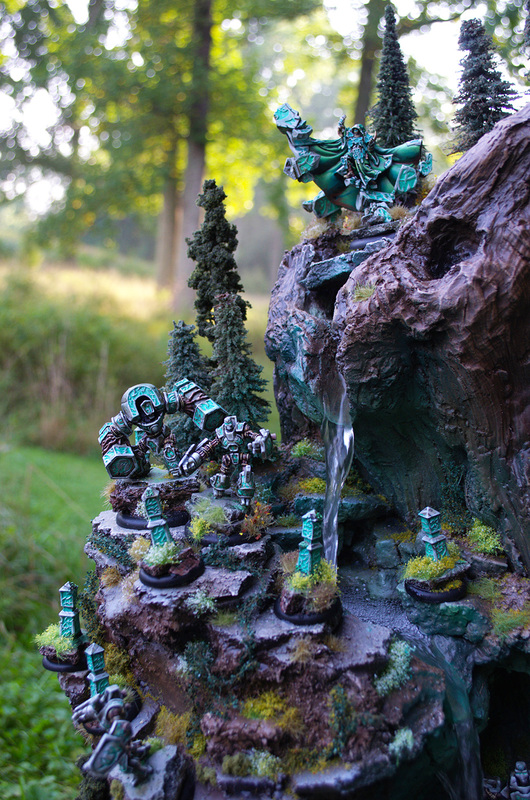 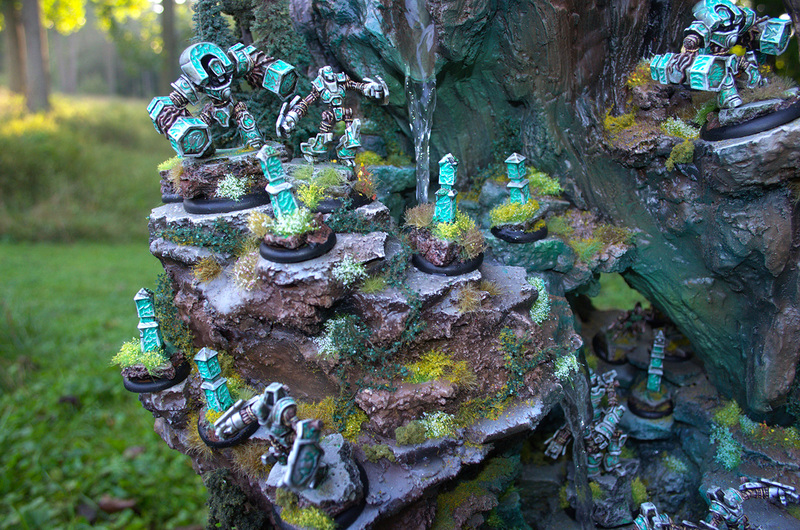 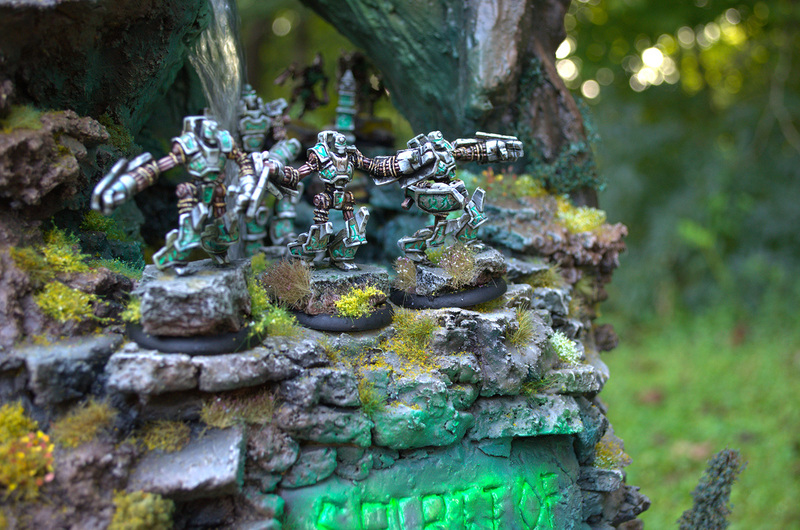 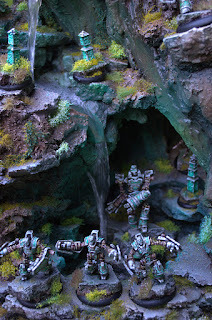 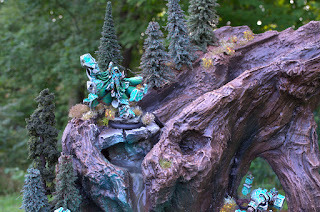 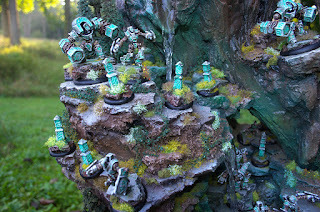 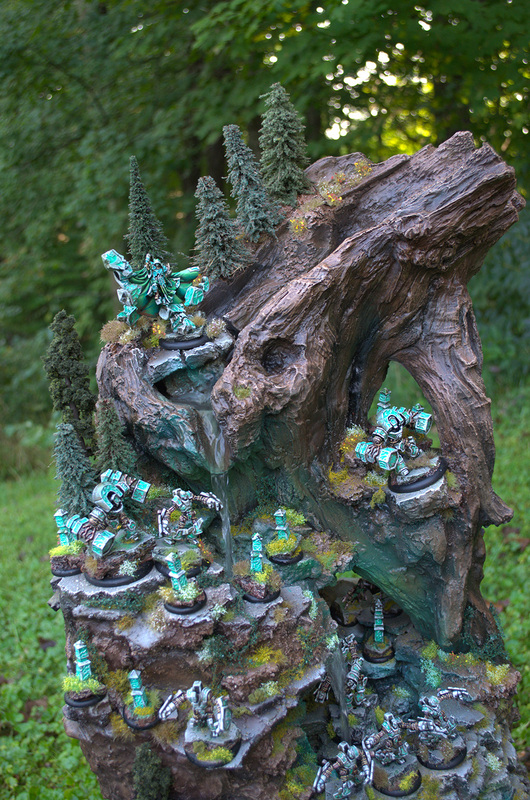 The display is made from a working fountain, heavily reworked with clay and other materials to represent the magical and ancient forests the vengeful forces of Orboros dwell in. 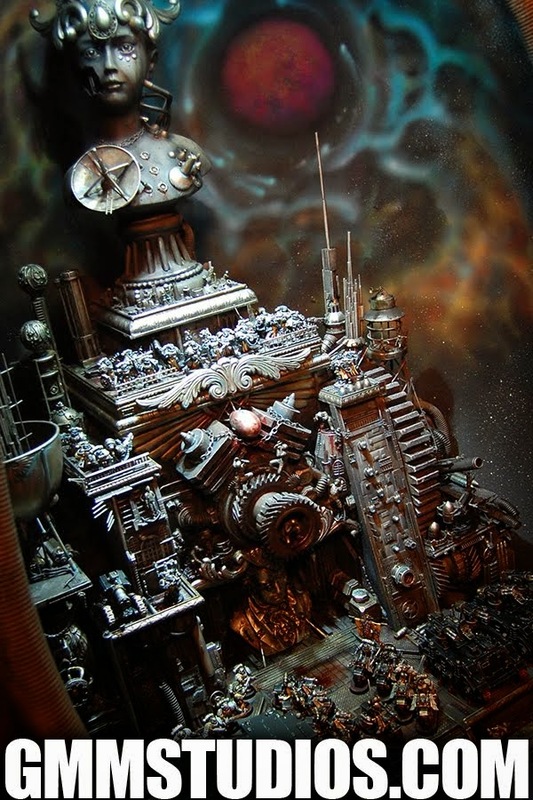 The original shape was heavily built up to represent terrain in miniature scale, as well as to change the water flow to allow for display of models. Most importantly, go to the event and buy tickets! 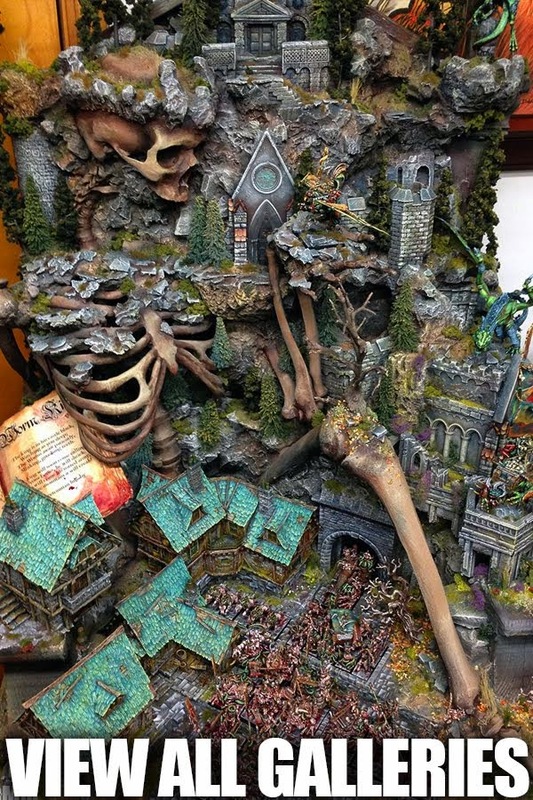 You could win this display as well be supporting a great cause. 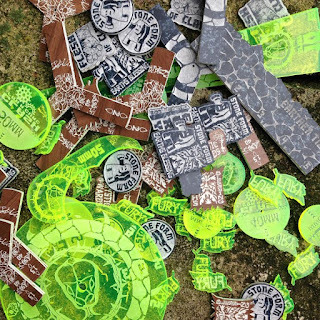 Awesome tokens donated by Ironheart Artisans!